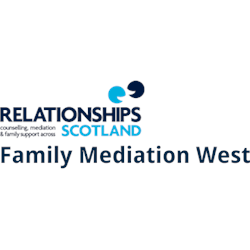 Family Mediation West of Scotland provides support to families affected by separation, divorce and conflict. We have premises in both Glasgow and Kilmarnock, allowing us to offer our services – including child-focused mediation, child contact centres, family support, and children’s counselling – to clients in ten local authority areas across the West of Scotland. We are affiliated to Relationships Scotland, which supports a national network of 22 local services for families, couples, and individuals experiencing relationship difficulties. Family Mediation West of Scotland is a registered Scottish Charity, No. SC0098938, and a Company Limited by Guarantee, No. 103933. Family Mediation West of Scotland requires a Professional Family Support Worker part-time, 21 hours p.w. Some weekend work will be required. The post is funded by the Lottery until the end of March 2020 (we are applying for new funding to continue this work). The post requires PVG clearance as it involves working with children as well as adults. - Our Family Support Service (FFS) helps to support families in establishing meaningful and long-term relationships between children and non-resident parents/carers as well as wider family members. - Our Professional Family Support Workers work with families who are vulnerable due to separation and loss (or where contact is not working). They help families manage poor communication and conflict, and provide advocacy and coaching as well as supporting improved parenting skills.